Robert Brooke & Associates has been a leader in the commercial hardware industry for over 35 years. We have been trusted worldwide by businesses, churches, universities, and more. 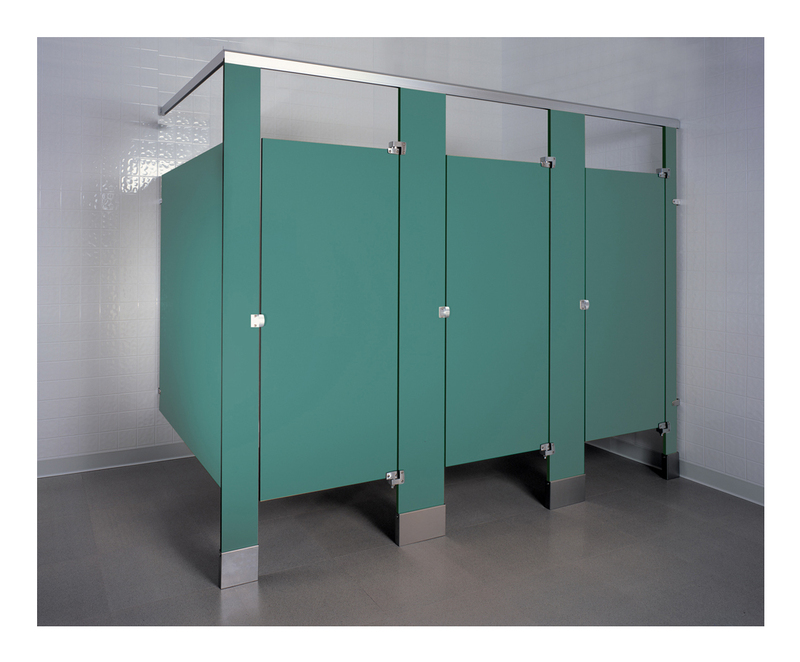 We sell a variety of high quality restroom partition materials including the solid phenolic option. Solid phenolic is completely water resistant, making it a perfect choice for locations that experience high-humidity and full water contact such as shower stalls. We can provide you with incredibly resilient solid phenolic partitions available in many different colors. If you are building or remodeling your commercial restroom, order your commercial partitions from the experts at Robert Brooke & Associates. Solid phenolic partitions can also be ceiling hung braced which presents a clean, contemporary appearance. They permit quick, easy floor maintenance, especially when combined with wall-hung fixtures. Ceiling hung partitions are recommended for modernization where a drop ceiling or open span construction can be used. Robert Brooke has been a trusted name in the commercial toilet partition business for over 48 years. We’re eager to help with the configuration, selection, and purchase of your solid phenolic toilet partitions.